If you have followed closely the entertainment industry for some time now ,you definitely would be privy to information pertaining to Andrew Amoh, affectionately and popularly known as Andy dosty's shocking dissociation from the annual DJ awards which seeks to award all disc jockeys across the 10 Regions of Ghana for contributing their quota to promote Ghanaian genres of music. Well, for those who have been starved for long the reason behind the decision , the daybreak hitz host of multimedia has spilled the bean on the drive talk on Atinka 104.7 FM when speaking with the host , DJ Candyman. Followers and listeners of the drive talk on Atinka 104.7 FM know how the host ,DJ Candyman is endowed with the skill of leading interviewees who appear on his show to reveal and disclose secrets, more often than not,reluctantly. He( DJ Candyman) somewhat provoked Andy Dosty by asking him if he withdrew from the award scheme because he didn't receive any awards during the previous years, which compelled the latter to disclose the reason. 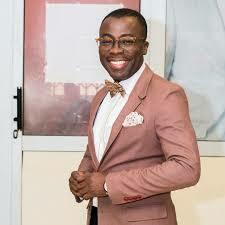 He( Andy Dosty) confidently attributed his decision to dissociate himself from the annual DJ awards to his rich experience gained as a DJ and the fact that the nature of his job as a host of program which is more focused on talking and earmarking time for interviews is not permitting him to act as the DJ all and sundry know . Consequently, he believes when nominated in the same category with young DJs like DJ Vyrusky, DJ mensah, DJ Mic Smith , these young ones might win the laurel and convey a message to the world as though they are better than him ( Andy Dosty) , meanwhile ,they are not worth comparing with him and that it is just lack of time to deliver ..
" I can't be in same categorically with young DJs like DJ Vyrusky, DJ Mic smith, they are doing extremely well but the nature of the job doesn't permit me to do the DJ work ,so I won't be in category with them and be a loser, no"
Is Andy Dosty stating a genuine reason or just one of the afterthoughts created? ?